China has been on an aggressive effort to curb capital outflows. As of July 1, Chinese officials took it a step further limiting foreign currency transactions to a paltry $9,000. According to one of the foremost experts on the Chinese economy, Anne Stevenson-Yang, of J. Capital Research Ltd., says the new controls are aimed at stopping “ants moving house.” A Chinese term for getting a lot of people to make small money transfers to ultimately transfer enough to buy property. But people find ways around the rules, she says. The wealthy often already have their money offshore, so they are not affected by new controls. Regardless, foreign exchange reserves have increased every month since January. And while the impacts on global real estate might be up for debate, the slowdown is already rearing it’s ugly head in Vancouver’s luxury market. 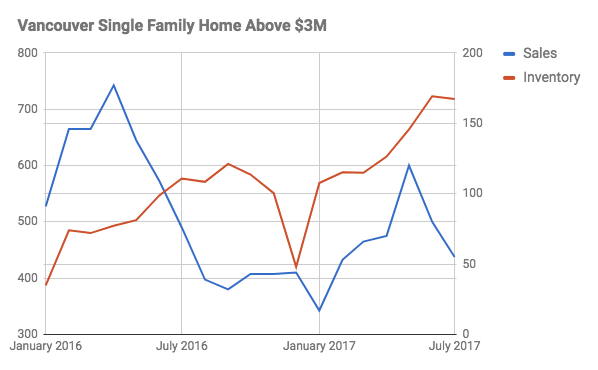 Single family home sales above $3 Million have plunged 27% year over year while inventory has spiked 24%. Vancouver Real Estate Above $3M Grinds to a Halt. The slowdown also correlates with the BC Government’s latest data which suggests foreign buyers have been dwindling for months. Time will tell how long China is able to sustain recent tightening. 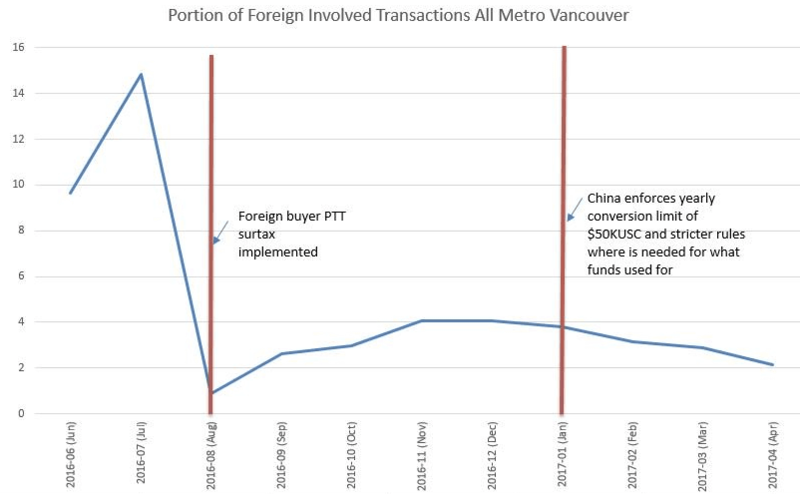 If China remains intent on curbing outflows Vancouver real estate won’t be the only one to feel the pain. A recent report from Morgan Stanley believes there will be an 84% drop in overseas property buying this year. Vancouverites may finally be able to breathe a sigh of relief.